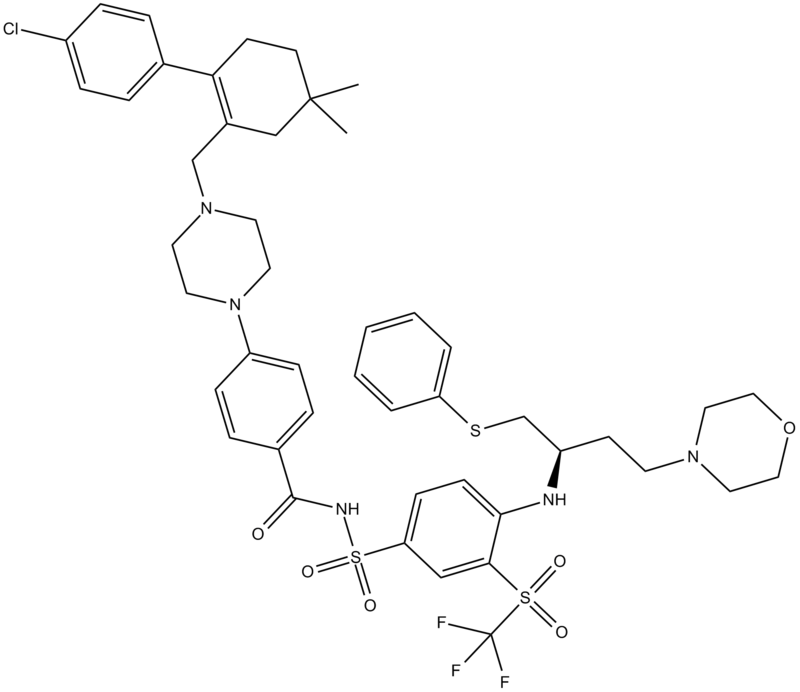 ABT-263 (Navitoclax) is a potent inhibitor of Bcl-xL, Bcl-2 and Bcl-w with Ki of ≤ 0.5 nM, ≤1 nM and ≤1 nM. 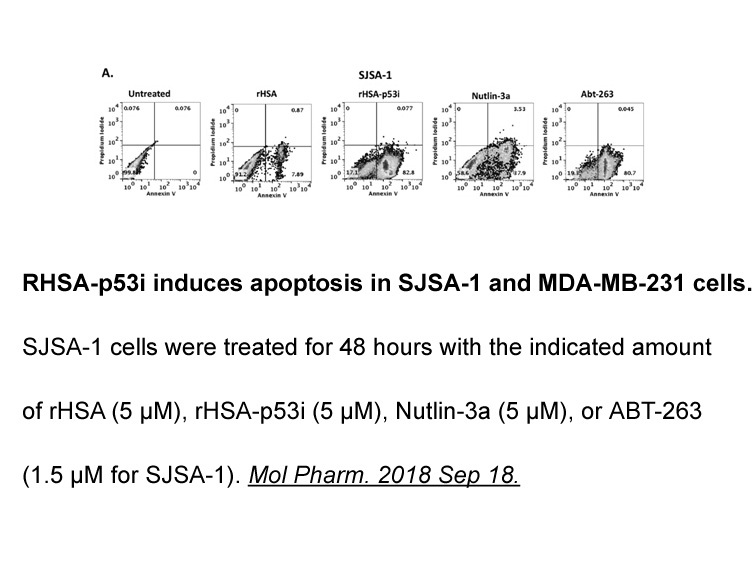 ABT-263 is an antitumor effector in preclinical and early clinical studies. 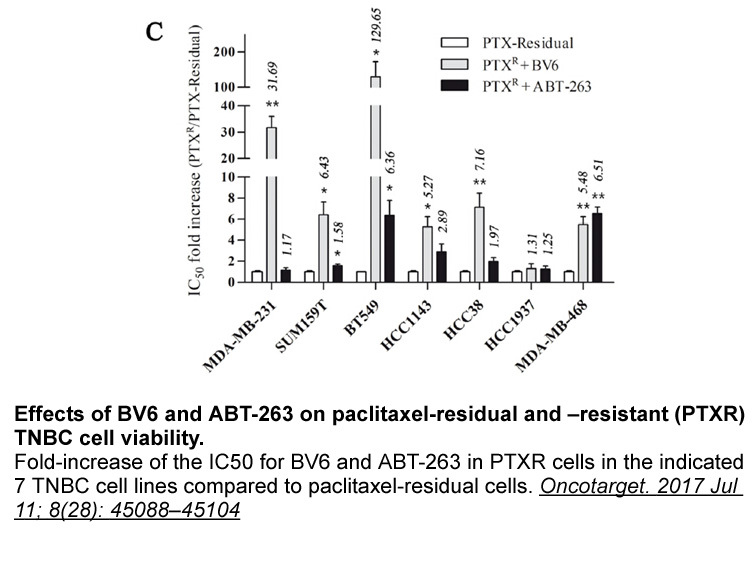 It binds to Bcl-2, Bcl-xL, and Bcl-w in vitro, but only targets Bcl-2 in vivo. 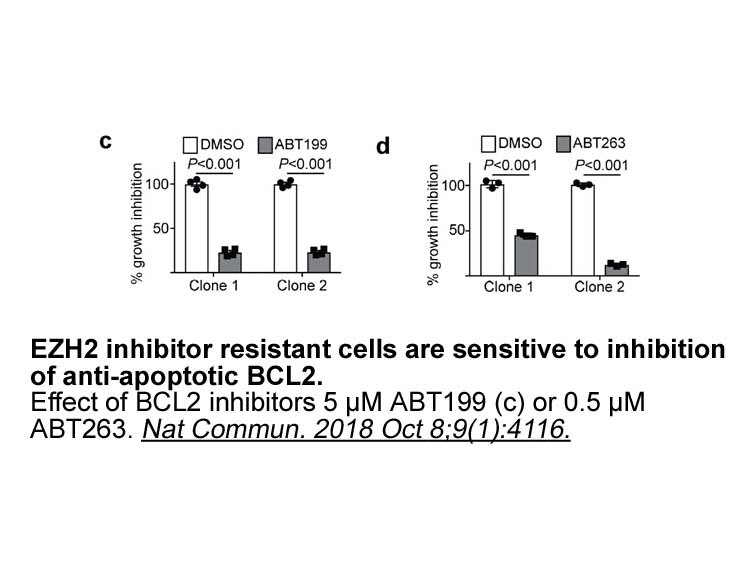 In human non-Hodgkin lymphomas, high expression of Bcl-2 sensitized to ABT-263 elevated proapoptotic Bim. 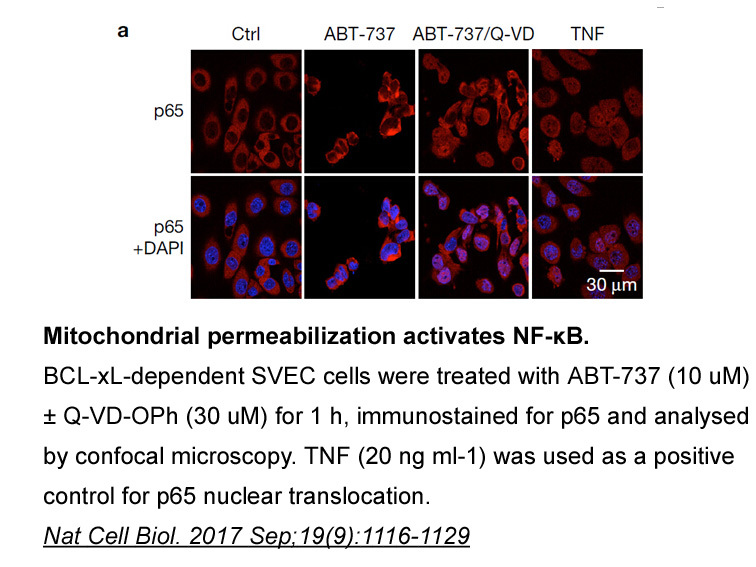 ABT-263 can largely inhibited the activity of patient-derived pediatric acute lymphoblastic leukemia xenograft. 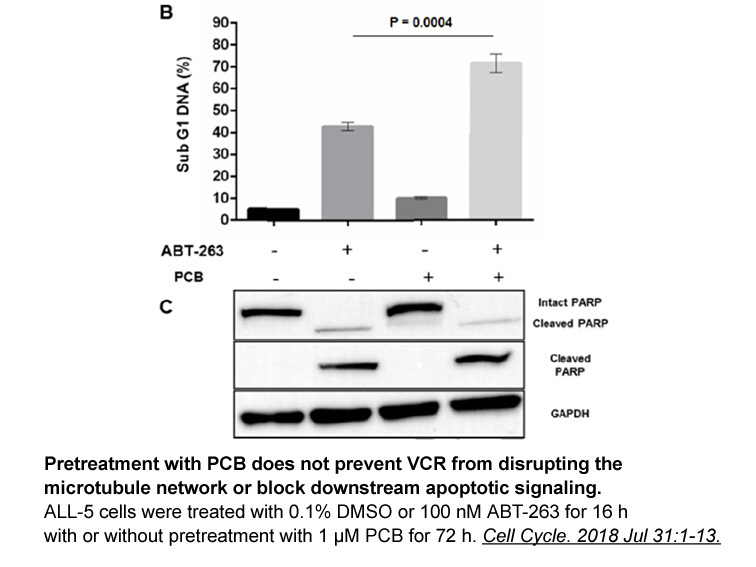 ABT-263 sensitivity was correlated with low MCL1 mRNA expression levels. 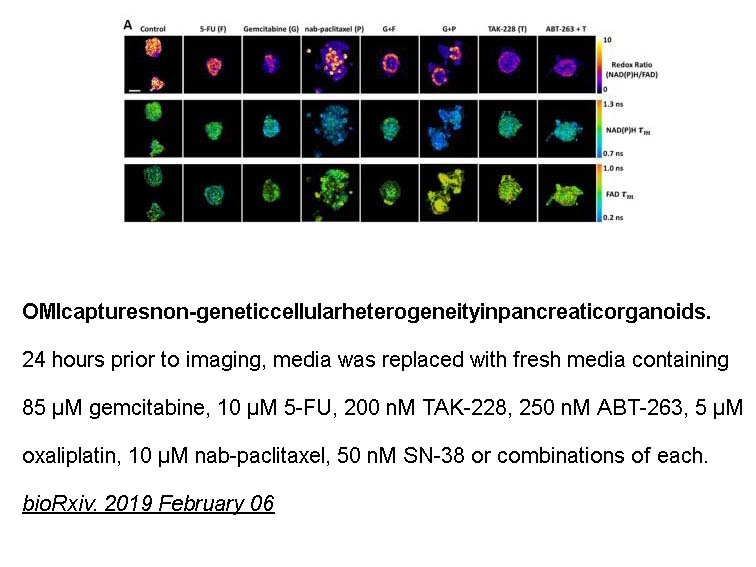 BH3 profiling revealed that resistance to ABT-263 correlated with mitochondrial priming by NOXA peptide. ABT-263 is an orally sellecitive inhibitor of B-cell leukemia 2 (Bcl-2) family of proteins with potential antineoplastic activity. ABT-263 is a small molecular with the formula of C47H55ClF3N5O6S3 and Molecular Weight of 974. 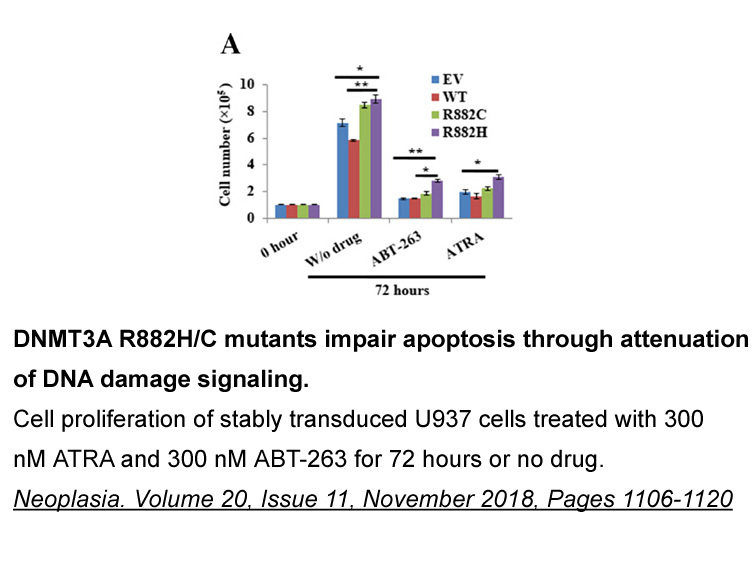 As a Bad-like Bh3 minetic, ABT-263 binds to Bcl-2 family proteins Bcl-2, Bcl-xl and Bcl-w, disrupts the interaction between Bcl-2/Bcl-xl /Bcl-w and pro-apoptotic proteins such as Bim, Bad and Bak, which trigger the caspases-initiated cell death pathway to induce apoptosis.